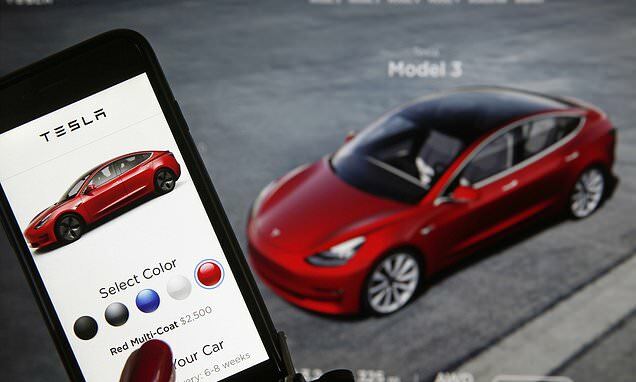 Tesla has postponed its plans to raise prices on all high-end vehicles. The electric car company said in a tweet Tuesday that it was delaying the price hike, which was supposed to occur on Monday, until Wednesday. It cited an 'unusually high volume' of last-minute orders as the reason behind the decision. 'Due to unusually high volume, Tesla was unable to process all orders by midnight on Monday,' the company said in a tweet. Tesla buyers now have until late Wednesday before the firm will increase prices on all its vehicles by 3 percent. The recently unveiled $35,000 Model 3 - Tesla's cheapest vehicle yet - will not be affected by the price hike. The announcement comes after Tesla said on February 28th that it would lower the price of Model S and Model X vehicles.